Our holiday to Osaka/Kyoto was a long time in the making. Now that both my kids are in tertiary institutions, finding common school holidays is challenging. 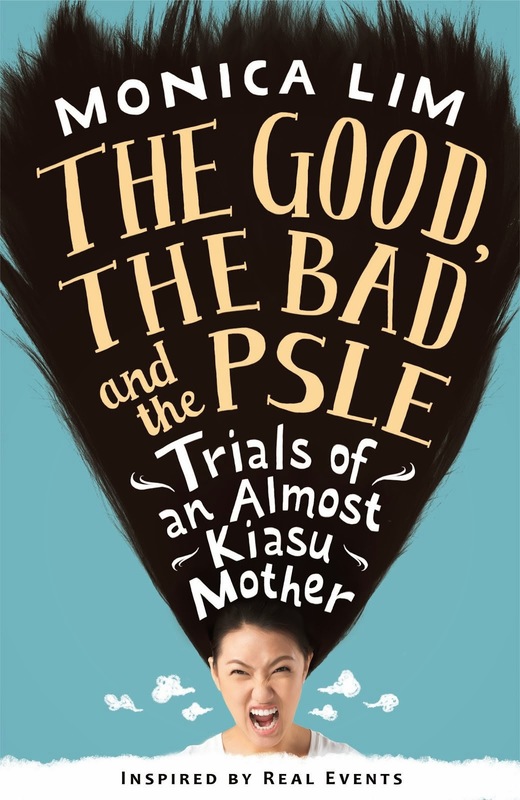 We managed to find common ground in this last week of September, during Lesley-Anne's one week break and Andre's mid-academic year hols. Perfect! We took off from Changi via SIA at 1.55pm, after picking up Changi Recommends wifi. I highly recommend this - it's a very affordable and effective way of getting high speed wifi throughout your trip. 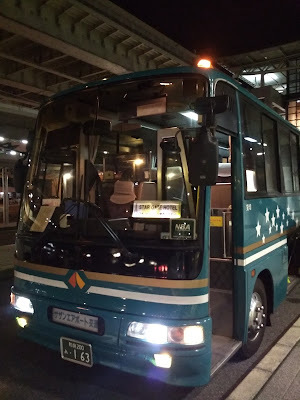 Since we landed in Kansai Airport in the evening at 9.35pm, it was too late to travel to Kyoto, our first stop, so we decided to spend a night near the airport. 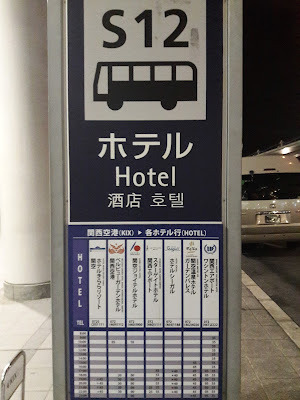 I picked Star Gate Hotel since it was close by (and a cheaper alternative to Nikko Airport which is right at the airport itself). We paid $336 a night before taxes. 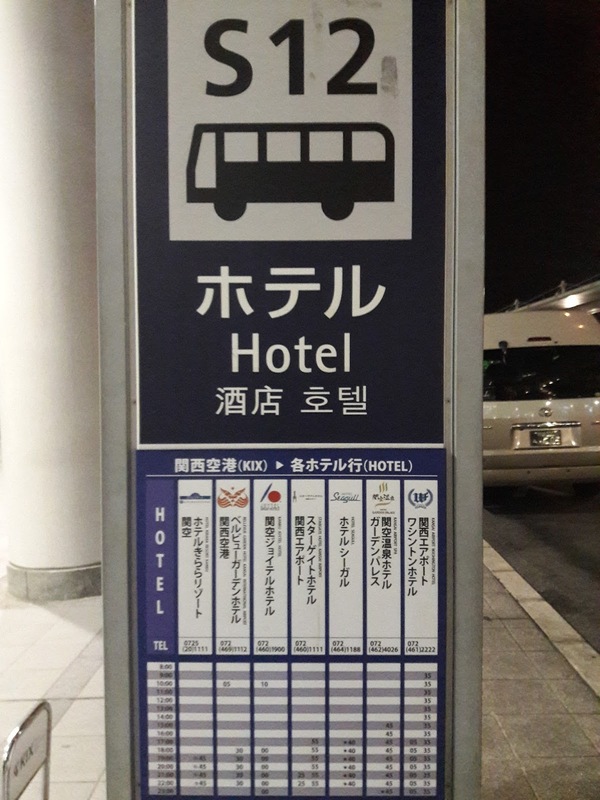 Star Gate Hotel has a free airport shuttle to the hotel, which is very convenient. The bus stop is in Terminal 1, 1st floor, south group bus area (S12). It's on the left as you exit from the terminal. Like with all Japanese transportation, it's clockwork punctual. Five minutes before its departure, the bus rolled up. After the bus driver loaded the luggage, we boarded (we were the only passengers at that time. Guess this is not a popular holiday period!) Right when the digital clock on the bus turned 10.25pm, the driver drove off. The kids were thrilled with Star Gate Hotel. It's a wonderful pit-stop - five star hotel with space enough to move around comfortably and beds for all (our kids now balk at sharing beds now that they're older). Incidentally, this is the engineering feat that is Kansai Airport - an artificial island created out of nothing. On the second floor of Star Gate Hotel is a linkway to the Rinkyu Town train station, just mere 3 minutes away, where there is a large 24-hour Lawson. 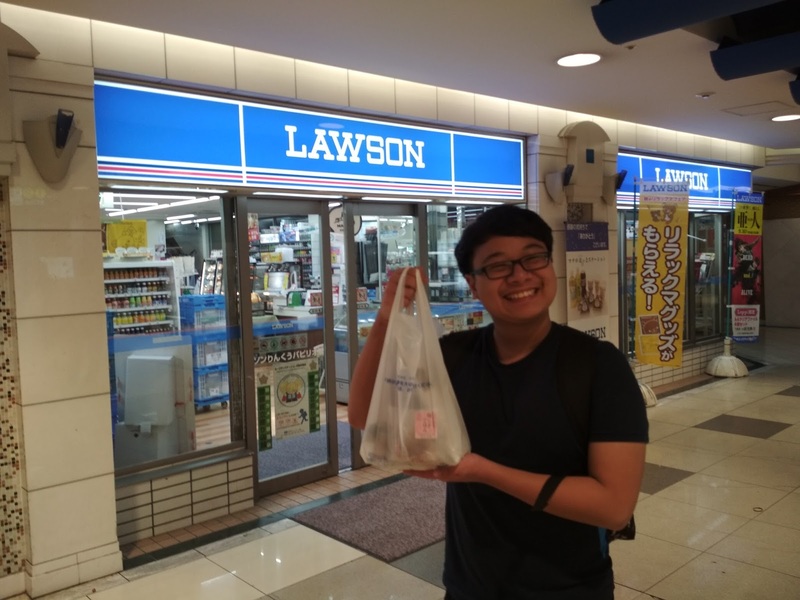 We last discovered the great wonder of Lawson when we were in Tokyo 9 years ago. 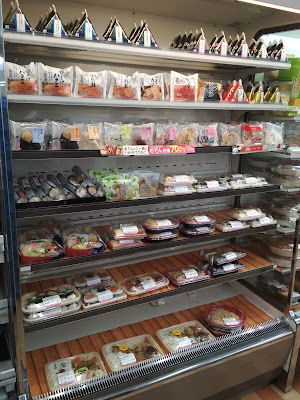 Here's where you can find ready-to-eat food any time of the day - a Godsend when you're hungry after a long flight! 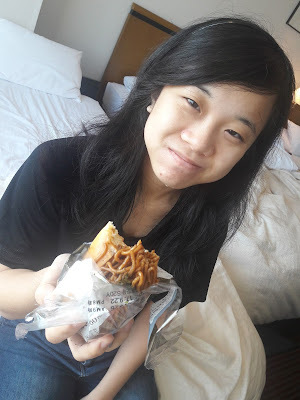 A noodle sandwich? Why not? Carbs on carbs - Lesley-Anne's idea of heaven! Our adventures start tomorrow...after a good night's sleep.